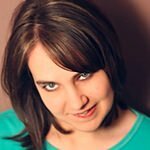 Always look on the bright side of life // Do team principals ever let their optimistic guard slip and tell it like it really is? Let’s take one example, a midfield team who are doing an acceptable job in 2012, but don’t necessarily have a lot to shout about from the rooftops. Force India have a lot more points this season than they did last year, but they haven’t improved as much as those around them have and are currently sitting eighth in the championship standings. They’ve had a good start to the year reliability-wise, with just one retirement each for Paul di Resta and Nico Hülkenberg. They’ve also given test driver Jules Bianchi plenty of time in the car on Fridays, allowing them to train up potential talent for future seasons. Their consistency in pace has not seen them in the points as much as they would have liked, and the dominance of other teams has meant they’ve not featured in the headlines as much either. Despite the middling performance of the team, though, positive thinking is not something they are short on. 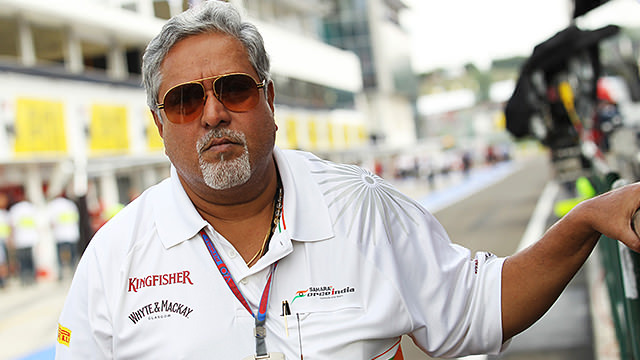 Vijay Mallya gets into the swing of things, with his quotes in the preview for the Australian Grand Prix. "I would go as far as saying the VJM05 is the best engineered car we have produced and the detail of the design is beautiful. It's a car we believe can help us take another step forward." Pre-season, the team were focused on moving up a position in the championships. So far in their short F1 history, Force India have finished 10th, 9th, 7th and 6th, so it was clear another step forward was the aim. Australia provides a mixed up grid, so it took a few races for the order of things to be established. Ahead of Malaysia, the mood was still very contemplative: "It will be very competitive in the midfield, just as we predicted during the pre-season. Sepang this weekend should be another good indicator of where we stand in the pecking order. I'm optimistic that it will suit the characteristics of the VJM05 more than Melbourne and that we can remain in the hunt for points." In Shanghai, Mallya was still figuring out the main goals of the year: "It's a good situation for Formula One, but it also means points are harder to come by. It's encouraging that we have scored points in both races and that will be our aim once again in China." You can look at it as scoring points in both races, or you can look at it as one point and a DNF in Australia, and then eight handy points from the drivers in Malaysia. China would go on to be a points-free race for the team, although both drivers did make it to the chequered flag. On to Bahrain, and Mallya did a disappearing act in the pre-race quotes, leaving it to the drivers to do the talking. Paul di Resta was mildly confident, saying: "We will have the same car in Bahrain because it's just a few days away, but it's a very different track and we expect different weather conditions so we will try to make the most out of that. The team have some good ideas because we have not raced there for a couple of years and nobody has had a chance to run on Pirellis there yet." At the following race, despite most teams having extra confidence in their knowledge of the Barcelona circuit, Nico Hülkenberg wasn't convinced: "A few of the races haven't worked out for me, but I'm looking forward not backwards and determined to get some great results for the team. I'm working well with my car crew, we are pushing hard and we will try our best to get back in the points this weekend." As it turned out, Force India managed to secure one driver in the points and one out of them at both the Bahrain and Spanish weekends. Driver quotes tend to always have a hint of optimism, stemming from the belief that they are the best driver out there and can work miracles with any piece of machinery. However, there’s often a slice of realism thrown in – the Force India boys know their car isn’t fast enough to challenge for the podium yet, and there is still a lot of work left to do. Vijay returned to his quotable action ahead of Monaco, one of his favourite events on the calendar: "I would love to see us performing well this weekend and challenging for points once again… We know that Monaco can be an unpredictable race so anything is possible. Our focus will be on making sure we qualify well to get track position for Sunday." Once a team start pinning their hopes on unpredictability, you know the season isn’t panning out as they would have hoped, even if they won’t quite admit it yet. Monaco delivered another double points finish, so the team were on more of a high heading into the race weekend in Canada. With the race rapidly approaching, Mallya turned away from specifics and looked to summarising the year so far instead: "Six races into the season and we have 28 points - a very strong start to the year. Both drivers are delivering what we expect of them and we're gaining some momentum, just as we did last year. Our car is clearly competitive and so are the drivers." 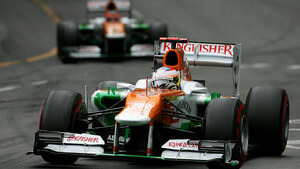 With their place in the standings starting to become more settled, Force India's targets were moving accordingly. Ahead of the European GP, Mallya had this to say: "The teams that we have been comparable with in the past few years like Sauber and Williams have been on the podium, and I'm sure our time will come, as long as we get things right." They did get things right at Valencia, and went on to Silverstone feeling good: "Those points have proved to be very valuable, bringing us within a point of Williams and just 16 adrift of Sauber. So we are catching up with our nearest competitors quite quickly. Now we need to keep up the momentum." Although the oft-heralded momentum was with them, Mallya was overplaying things a little to consider themselves "consistent top ten performers" ahead of the German Grand Prix. It was particularly telling as their competition was doing quite a lot better. Williams had managed a race win, although admittedly found it hard to repeat anything like that result. Sauber had also visited the podium a couple of times, but found race victory beyond their grasp... for now. 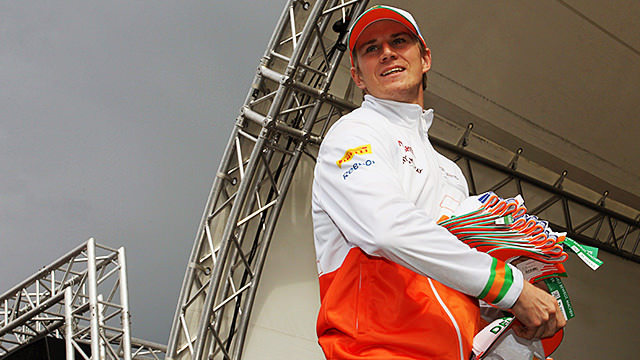 Force India were treading water, their best result a fifth place in Europe. In Britain, the second of their two DNFs occurred, whilst Germany had Hülkenberg finish in ninth, Di Resta just outside the points. Ahead of the final race before the summer break, Mallya said this: "I've said many times already that this is the best start we have ever had to a season in terms of points scored. So from that perspective I'm satisfied and proud of what we have achieved in the first ten races… But at the same time I'm all too aware that we have a big fight on our hands to reclaim our sixth position in the championship." It's the first real admission that the season wasn’t going to plan. Unfortunately, a double finish outside of the points gave Force India a lot to think about over the holiday, prepping as best they could for the busy second half of the year. Now, with the summer break over and the paddock returning to action for the Belgian Grand Prix, Force India know they have a lot of work to do. Boss Vijay Mallya has this to say: "We were sixth in the constructors' championship last year and we had the objective this year of coming fifth. However, the improvement of Lotus has been exceptionally dramatic, so I think to target fifth is probably overreaching our capabilities for this year. We should at least target sixth, where we finished last year, and that means getting ahead of both Sauber and Williams." The initial goal at the start of the year has been officially renounced, with a new target set. It involves finishing ahead of two teams who have both been on the podium at least once in the year already, and have more than enough capacity beneath them to do it again. If that’s not optimism, I don’t know what is!